From young ones to old , People the world-over have been enchanted by the Harry Potter films for nearly a decade , the amazing special effects and wonderful creatures created by J.K. Rowling has captured the imagination of millions of people worldwide . Everybody wants to have a visit the magical universe of Harry potter . We know that cant happen , Reality and fantasy are two different things . But Don’t lose your hope . Now that is possible . Warner Bros. studios have made the set of Diagon alley available online . You can have a tour of the set through Google map’s street view . The set was a part of the s Harry Potter props and rides that are available at the Warner Bros. Studio Tour London . The set is now available to be viewed by people worldwide through Google maps . “People the world-over have been enchanted by the Harry Potter films for nearly a decade. The wonderful special effects and amazing creatures have made this iconic series beloved to both young and old – and now, for the first time, the doors are open for everyone at the studio where it first began. 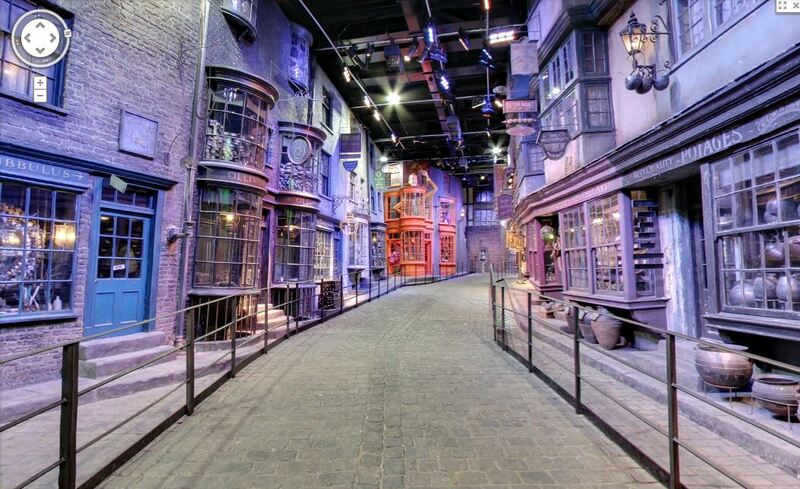 You can Explore the Harry Potter Diagon Alley on Google Street View. We hope for more sets of harry potter to be made available online in the near future .